New, Loud, Exciting & Plain good fun! 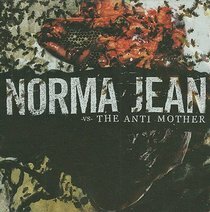 Norma Jean, as quiet as they have been, has burst onto the scene with their new sensational album 'The antimother'. A new music marvel of fast/energetic music style that's different to its rivals but sets them up to come out on top!! It really is an awesome piece of album work that sets new standards for heavy screamo Christian music! Fantastic work, erratic emphases and great energy goes into the music structure and style that makes you want to listen to the cd over and over again. Right up there with the likes of heavy bands such as Underoath and Project 86.